Enjoy a range of cooking options with this stainless-steel Bosch double fan oven that brings the industrial trend into the kitchen. 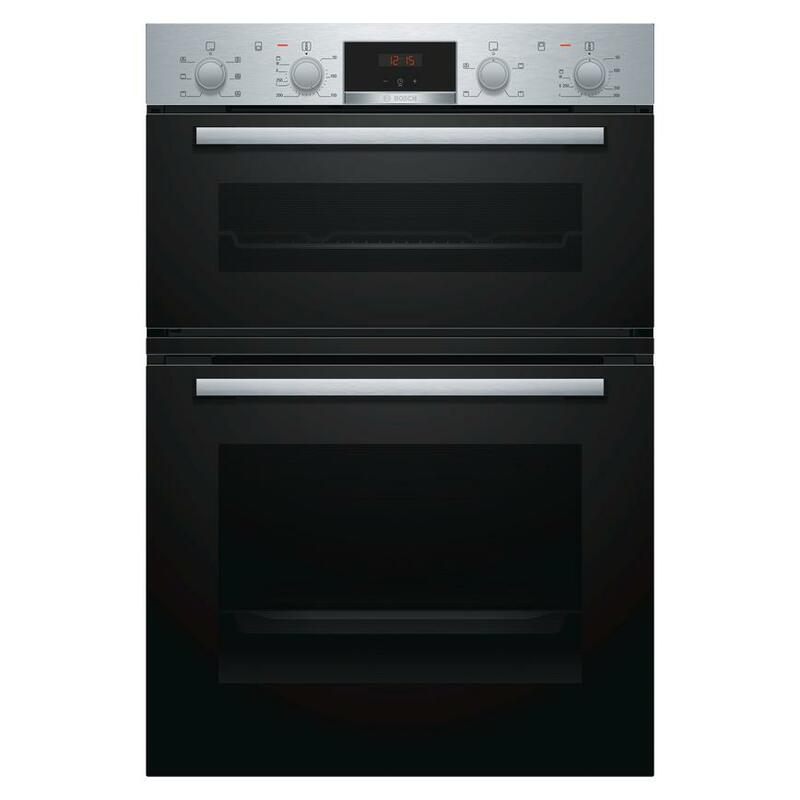 This stainless-steel double oven from Bosch offers a total of 105 litres of cooking space, great for large families and hosting dinner parties. 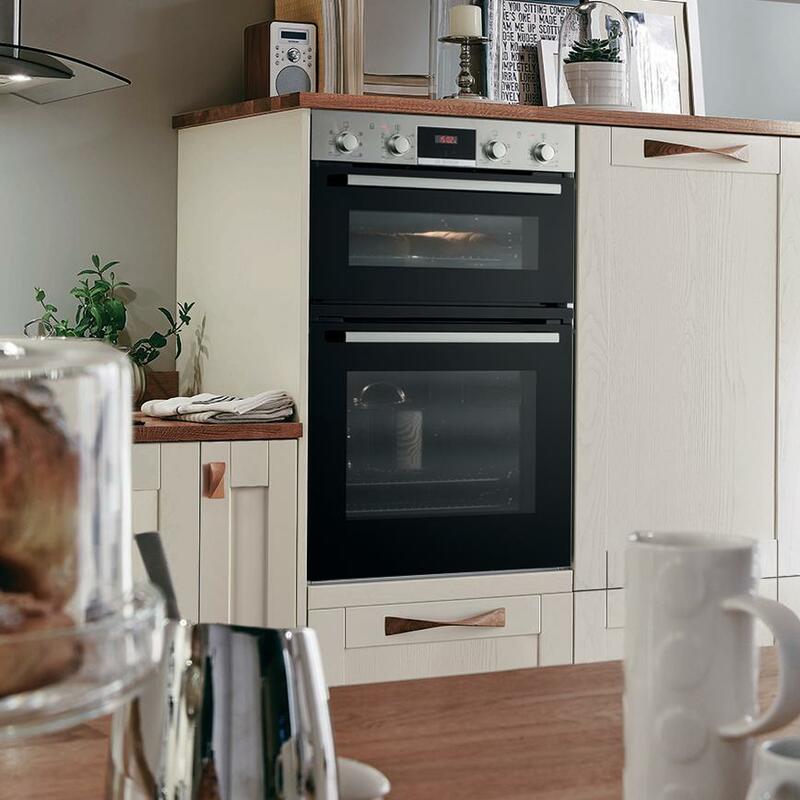 The upper oven offers conventional cooking and a single grill, while the main oven provides features such as true fan cooking that circulates heat for a delicious, even bake.